The Salvation Army is working with Square to test the potential of the firm’s mobile payment solutions to aid its donation collecting, according to a report from The New York Times. The move will allow people to make donations to the charity simply by swiping their credit card through the Square payment terminal at any of forty different locations across Dallas, San Francisco, Chicago and New York. The initiative has also seen operator Sprint Nextel donate a number of Android devices which will act as merchants, alongside Square’s reader, its app and a Salvation Army app, to collect donations on the go. 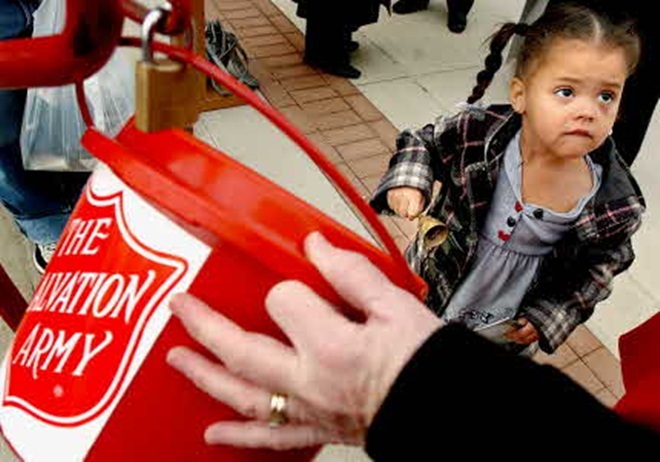 Major George Hood, the Salvation Army’s spokesman, admitted that the organisation is moving with the times to keep up with the effects of mobile on modern life having seen a standard credit card terminal do little to help its cause. A lot of people just don’t carry cash any more. We’re basically trying to make sure we’re keeping up with our donors and embrace the new technologies they’re embracing. The credit card terminals really haven’t been a blockbuster, I’ll be candid. The winter elements have been a negative, people have to go through a process of entering data, and it’s just generally more cumbersome than we think Square will be. Jack Dorsey, whose hectic schedule include the roles of CEO at Square and Executive Chairman at Twitter — both of which he co-founded — is encouraged by the possibilities that the technology and the chance to link up with an iconic American institution. Instead of training people on an entirely new behavior, an entirely new way to pay, we just use what they know. It doesn’t require them to learn anything new and it doesn’t require the merchant or organization to learn anything new. [The partnership with the Salvation Army] definitely is a throwback, but that age was an age of curiosity and innovation and particularly craftsmanship and as we build the product, we’re thinking about craftsmanship and details and experience. According to the New York Times article, Square currently process more than $2 billion of payments per year through 800,000 merchants although the company is working to increase its usage and visibility amongst consumers as well as vendors.